Here at Book Bloggers International, we like to change things up a little each year to keep things interesting. In 2017, we have decided to go to the heart of book blogging and spend more time with the books. Each month, we will be hosting a readalong for a different book. We are hoping to span all different genres and formats, and to really bring all of you book bloggers together around one great book every month. At the beginning of each month, we will be announcing the book for the month and we will be spending all month reading and chatting about the book. If you have already read the book, stop by and join in the conversation. If you have not, but want to, then join in and read along with us. You can even follow along on social media with the hashtag #12mos12rals. If you would like to see a book read or would like to host a readalong for a month, let us know by emailing us at bookbloggersintl (at) gmail (dot) com. Now for the month of January!! We will be reading A Man Called Ove by Fredrik Backman! The reading schedule is below. Please note that I have included both pages and chapters for those who may not have the same copy of the book as I do! On each of the days listed, questions and discussions will be posted. We encourage you to stop by and chat it up, leave your own links, and more. Throughout the week, you are also welcome to contribute to and follow the conversation and thoughts via #12mos12rals. Looking forward to having you all join us! Michelle Miller ... I totally understand this! Next month will be Born a Crime by Trevor Noah. From there, the books are still pending, though we are open to suggestions!! I love this idea! 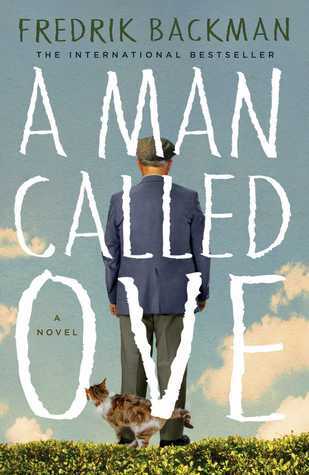 I'm already reading A Man Called Ove so I'll plan to join in this one. Julie ... Yay! I'm so glad you will be joining in with us! What is the book for February?